As the year is drawing to a slow close, we’re edging closer to some of the best tournaments in CSGO. In this case, I’m talking about the BLAST Pro Series, this year being hosted in Istanbul. 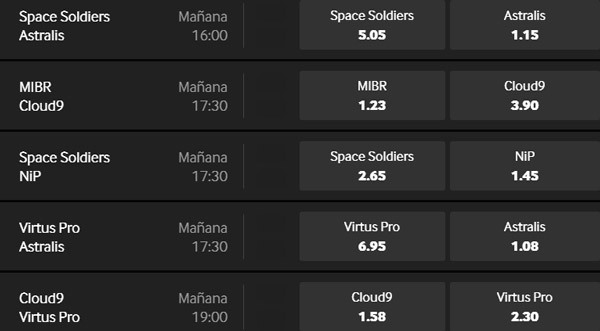 CSGO betting has also made an appearance (specifically the betting odds and the comparison of such which we’ll talk about later). The Pro Series: Istanbul 2018 tournament is bringing 6 amazing teams against each other in the field of battle. Six! Sounds like a short tournament, which it is, but it’s nonetheless going to be enjoyable and a lot of fun. The prize pool sits at a great $250,000 and all six teams will be looking to take the biggest piece of it! Now, let’s get into the world of the Pro Series: Istanbul 2018! BLAST Pro Standoff is a prize bonus showmatch featuring five 1v1 aiming duels. 3rd place team chooser the opponent from the remainder of the teams who are below them in the standings. The winner wins $20,000 bonus! The format for this tournament is rather simple. Besides, we have only 6 teams in play here (which we’ll talk about later) so the Pro Series: Istanbul 2018 tournament should be easy to follow. Now, firstly, we’ll have the group stage which will feature Bo1 matches between teams. It’s a single round-robin format and the top 2 teams will continue to the grand finals (coming second in the group doesn’t count!) After that, the Grand Finals feature a Bo3 match between the two best teams. The winner will take home the grand prize of $125,000! I’m guessing some of you might be interested in putting down some eSports bets, in this case directly related to this tournament. That’s why I’ve prepared a nice list of the best bookies out there which have worked hard to present you with some amazing odds. Six teams is all you have to choose from, which shouldn’t be too difficult, right? Let’s take a look at some of this betting odds! Next up we have the Winner for Map (which only one bookie has prepared, as you can see below). Here you get some maps that will be played on the tournament and you choose the team you think will win on it! The BLAST Pro Series: Istanbul 2018 tournament has a pretty hefty prize pool. Now, even though it might not be the biggest one we’ve seen in eSports, a tournament of this calibre is sure to have nice prizes. And nice prizes they are! A grand total of $250,000 is up for grabs ($230,000 from the main event and $20,000 for the bonus rounds). The winners will take home $125,000, runners-up $50,000, third place $25,000, 4th $15,000, the fifth team will get $10,000, and the 6th one $5,000. Not bad at all! Interested in following this major tournament? Don’t worry, you’ll get the chance to watch all the action just by following the stream below!